Yo - Audiobook | Listen Instantly! 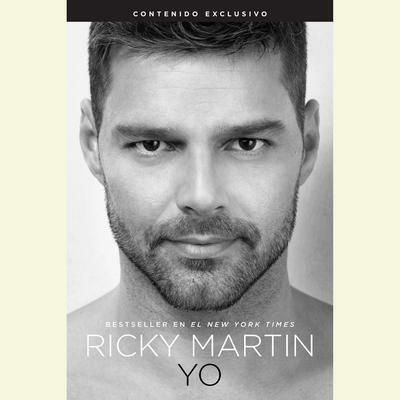 El artista Ricky Martin quien ha vendido mas de 60 millones de albumes en todo el mundo habla por primera vez sobre su infancia, sus comienzos musicales en el grupo Menudo, su busqueda de identidad durante el fenomeno de "Livin La Vida Loca", la aceptacion de su sexualidad, las relaciones en las que descubrio el amor y las decisiones que cambiaron su vida como el convertirse en padre y su dedicacion por ayudar a los ninos des privilegiados en todo el mundo. Yo es un libro intimo de memorias sobre la trayectoria espiritual de uno de los artistas mas reconocidos de nuestra epoca. Download and start listening now! Ricky Martin began his singing career at the age twelve when he joined the Latin pop group Menudo, scoring several #1 singles before his hit song, “Livin’ La Vida Loca” made him an international star. Throughout his twenty-five–year musical career, he has sold over sixty million albums and has won numerous Grammy awards, American Music Awards, and Billboard Awards. Martin is also a devoted humanitarian, having established The Ricky Martin Foundation. He divides his time between Miami and San Juan, Puerto Rico. Tony Chiroldes is one of New York City’s busiest voice-over performers. He was an original Broadway cast member of the Tony and Grammy Award-winning musical In the Heights, and has appeared in other productions such as The Capeman, Sympathy Jones, Senor Discretion Himself, and more. Tony has voiced hundreds of English and Spanish commercials and many audiobooks, including The Dreamer, for which he won an Earphone Award from AudioFile.